DJ Khaled has once again called up the team that helped him get a 5x platinum smash single "I'm one" to deliver a new summer anthem "No Brainer". DJ Khaled in his new single called on Justin Bieber, Chance the Rapper, and Quavo for the new single. Khaled is currently on the road with Jay-Z and Beyonce opening for the North American leg of their “On the Run II Tour,” which wraps Oct. 4 in Seattle. 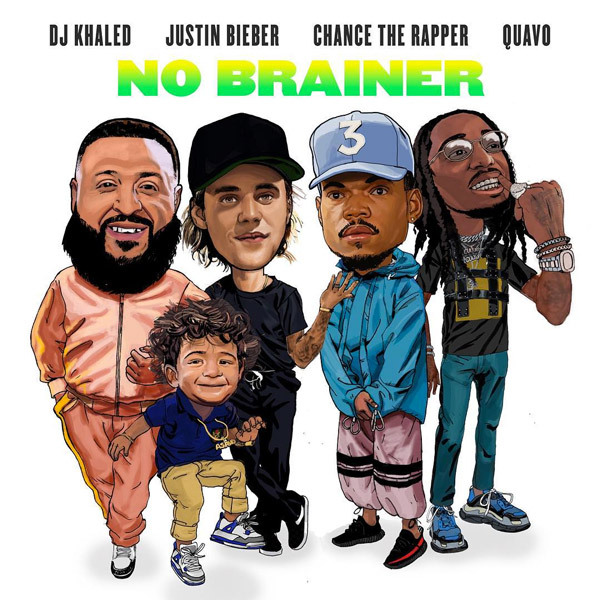 Read more about New Album Alert As DJ Khaled Calls Justin Bieber, Chance the Rapper, and Quavo For "No Brainer"